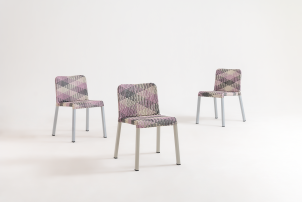 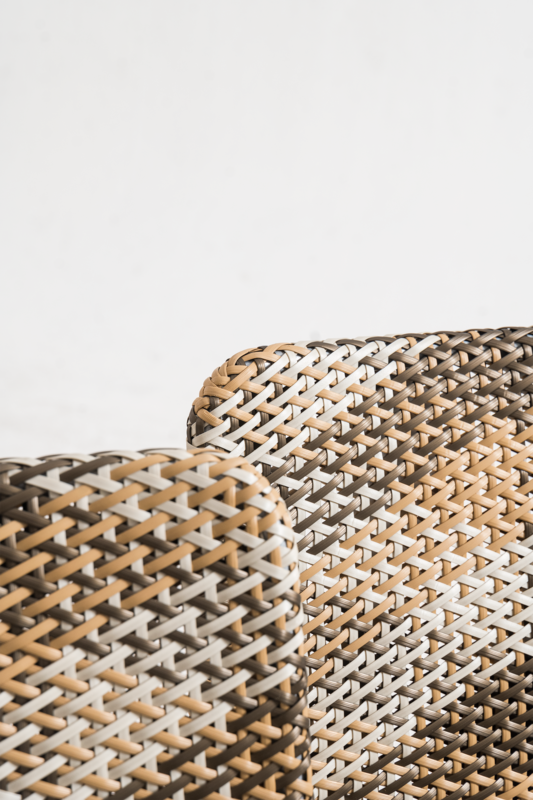 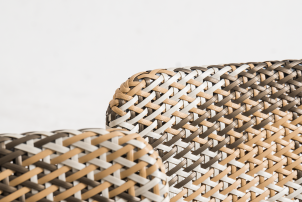 Sungita is an exclusive outdoor dining chair finished in our new ethnic inspired weave patterns, it combines a dynamic visual design with ethnic inspired elements woven in the peel Polyfibers. 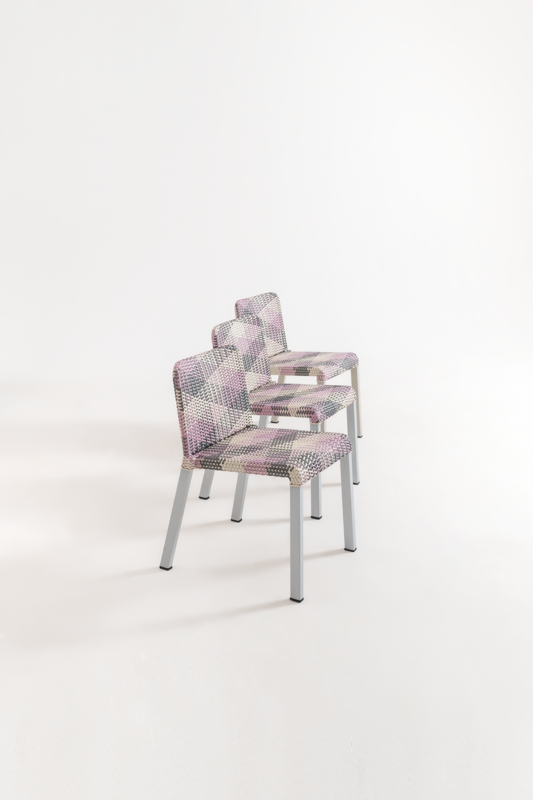 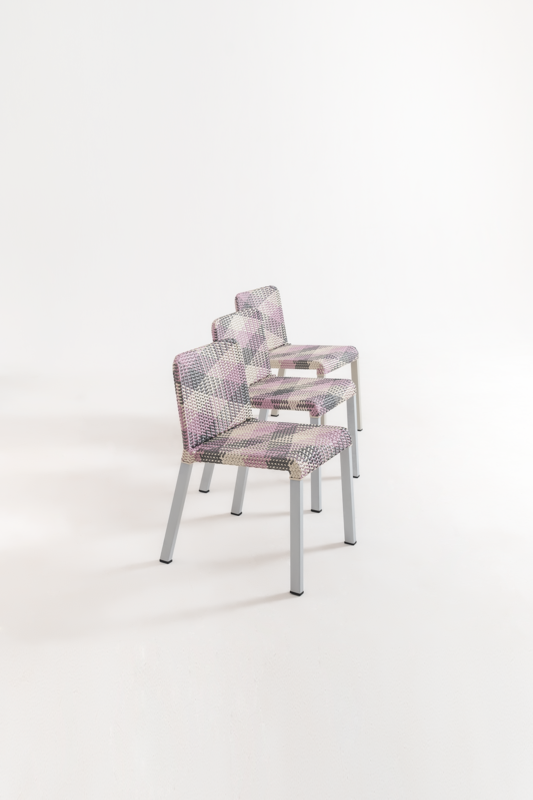 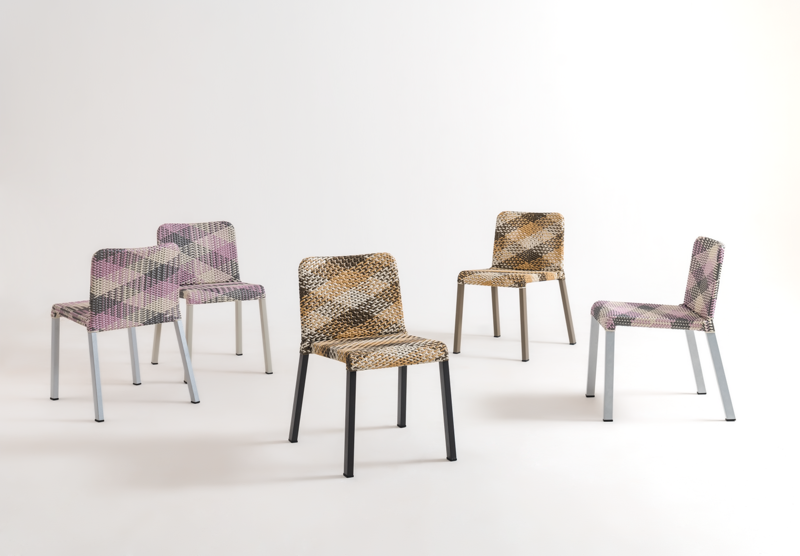 The series is available as a chair, armchair or barstools. 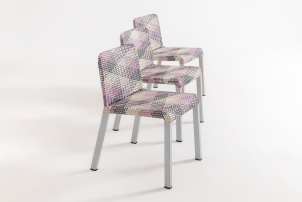 Frames are finished in a polyester powder coated aluminum. 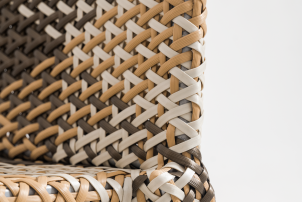 Sungita is a modern contemporary chair suitable for contract and residential outdoor projects. 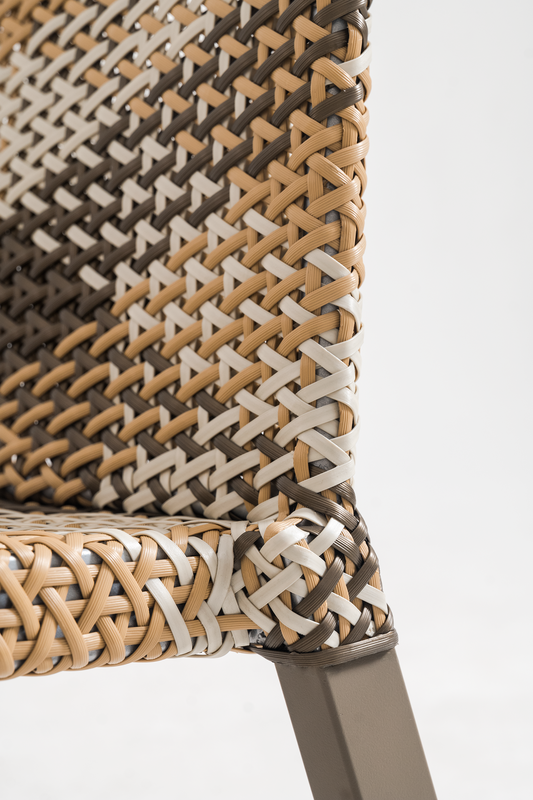 Sungita weave finished In our flat Polyfiber material.